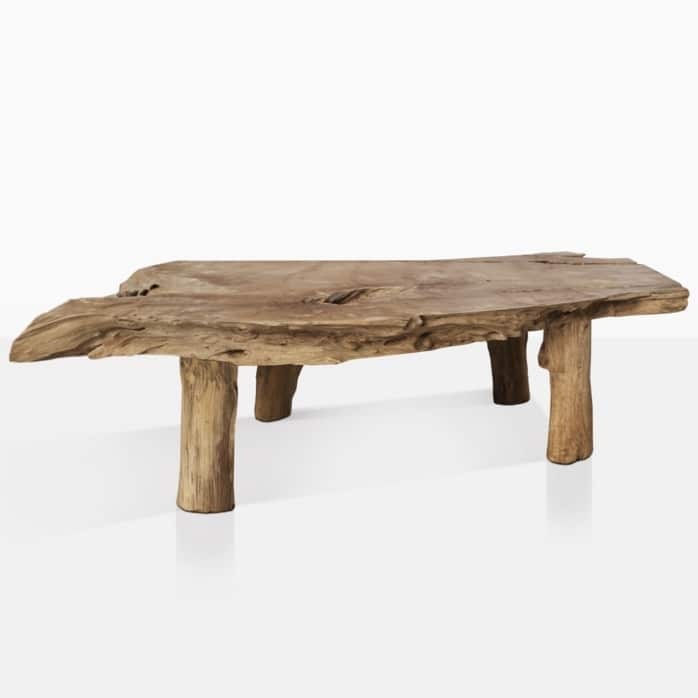 The River Teak Coffee Table will add a wonderful organic vibe to your living space whether indoors or out. It’s raw teak legs and tabletop show all the character and grain of the wood. It is a work of art by nature. It has been carved from a teak tree and the top has been smoothed over, but it still has interesting parts with texture. This raw teak wood will turn grey and age beautifully over time. The natural style and look of the wood allows it to be paired with wicker and reclaimed teak outdoor furniture. Pair two together for even more tabletop surface. Please note that each piece is different and unique. Each one will vary in size and shape.